Heading into this game, the Giants sit third on the ladder, with 14 points, just two points behind the two teams ranked equal first – the Western Bulldogs and Melbourne Demons. With the top two teams at the end of this round progressing to next weekend’s grand final, it really is all on the line, particularly when it is mathematically still possible for five teams to make the big dance. There has been plenty of hype about the opportunity this season for the GWS men’s team has to win the club’s first flag. 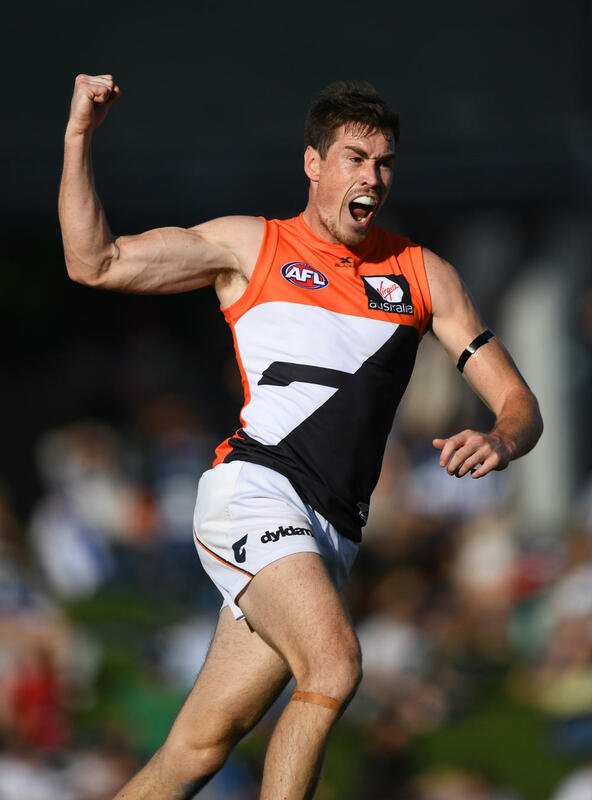 Boasting players like Jeremy Cameron, Phil Davis, Stephen Coniglio, Dylan Shiel and Lachie Whitfeild, the squad has a mix of youth and experience, players that have been at the club for many years and those who are only beginning their careers, some that do the simple things right and others that produce the extraordinary. The team has come close a couple of times to that historic grand final berth, but always fallen short. What has been lost in the pre-season narrative about the men’s team though, is that the women – after finishing at the bottom of the ladder last year – are now potentially just one win away from the club’s first grand final appearance. It’s been an impressive last month from the squad, who started the season 0-2 but have since beaten Collingwood, Fremantle and the Western Bulldogs, as well as drawing with the Adelaide Crows. Last week’s win had several stand out efforts. Nicola Barr was committed and ferocious in defence and spent most of the game locked in a battle with Monique Conti. That moment in the second quarter when Cora Staunton took a running mark, then sidestepped a defender and kicked a goal was just another example of how effective her transition from Gaelic Football to AFL has been. As for Erin McKinnon, she was dominant in the ruck. But while the squad has captured the hearts and minds on the field, they’ve shown remarkable character off the field too. Inspirational captain Amanda Farrugia is also a PE teacher at Our Lady of Mercy College in Parramatta, and is most passionate about motivating the next generation of women to play AFL. Amanda rarely shows emotion on the field, so it was special to see her celebrating in such an animated fashion when she kicked a goal last weekend in the fourth quarter to seal her side’s win. The coach embracing Amanda after the game was one of my favourite images circulated during this season. Or new recruit Pepa Randall – the woman with the stand-out mullet – who became a cult figure when she was interviewed after the game, eating a burrito which had been caught on camera. This authenticity draws fans not just to AFLW, but to women’s sport. She has now been nicknamed ‘Burrito’. Or Courtney Gum, who was not selected in the 2016 draft, but after going at 25th overall in last year’s draft, at 36 years old, she has been one of the club’s stand-outs – averaging 16 disposals and leading the competition in contested possessions. What many don’t know though, is that when she was drafted, she was looking after a newborn and living in a tent while the family home in Adelaide was being renovated. Now Courtney lives in Sydney, works three days in an aged-care-facility, raises her child, runs her own business, and stars for the Giants in her spare time. I haven’t even mentioned the likes of Renee Forth – a marquee signing last year who failed to play a single game due to injury – or Ellie Brush – who, at the commencement of the season, was juggling commitments with the Western Sydney Wanderers as well. This is a talented group of women who have come into their own just at the right point of the season and I am tipping them to continue their run with a win over the Lions tonight. 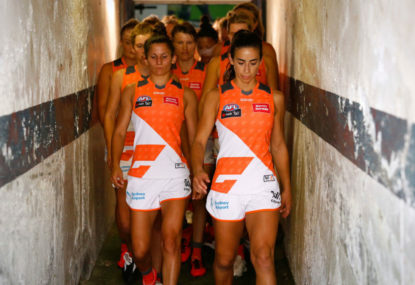 So tonight, I encourage all AFL fans and fans of women’s sport to head to Blacktown International Sports Park to cheer on the Giants in their final home game of the year. Whatever the result, it’s been a significant improvement from the one win that the team posted last year. History could happen tonight and you’ll want to be there to belt out that GWS Giants’ theme song.